Board of Directors: The YLS Board is comprised of young professionals who are deeply committed to our organization’s mission and its impact on our community. Board Members are required to serve on at least one Steering Committee, and are expected to utilize their leadership skills to promote the organization’s values and endeavors. Board Members meet once a month (the second Tuesday of each month) to oversee the organization’s decisions and overall direction. 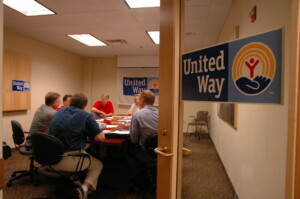 Board Members are expected to participate in community service volunteer events on a regular basis (at least six per year) and contribute a minimum annual donation ($250) to the United Way. Click here if you are interested in learning more about Board Membership. s and community programs by joining one of our Steering Committees. Click here to request a membership information packet and application, or ask for one at our next event! 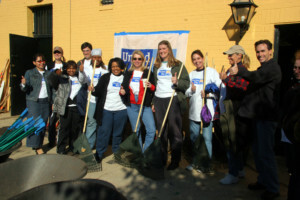 United Way and YLS are working to advance the common good. But we can’t do it alone. We need the heads, hands and hearts of committed people like you to help us tackle the problems facing our communities. Each of us has special talents, things we can do to help. Put your talents to work. 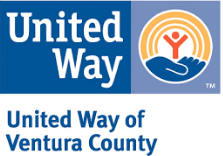 Visit www.volunteerventuracounty.org for opportunities to volunteer with YLS. This includes our programs: Books Bonanza, Youth Empowerment Summit, and Fun in the Sun. Speak out on urgent policy priorities related to education, income and health. Be informed! Learn how our community ranks in academic attainment, income stability and health. 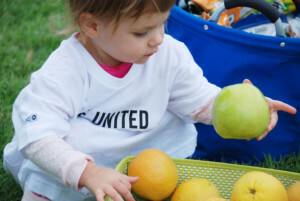 Use theUnited Way Common Good Forecaster, an online tool that lets you learn more about our community. Engage with our community. Learn about what people say are their aspirations for your community and talk about how you can work together to address challenges. Raise awareness about a cause. Social media is a great tool to educate your friends and networks about issues you care about. Workplace giving campaign is another source of fundraising where corporate partners provides their employees a different way to donate to their community via pay roll deductions through out the year. As an Ambassador, you’re our cheerleader in your workforce!